We are Stem Cell !! 柚崎通介　成熟脳において機能的・形態的シナプス可塑性を制御する分子―GluRδ2とCbln1. 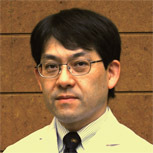 実験医学, in press, 2008. 柚﨑通介　シナプス形成・維持を制御する新しいサイトカイン―CblnとC1q/TNF スーパーファミリー．Brain Medical, in press, 2008. 柚﨑通介　シナプスの長期制御と受容体の局在化機構．生体の科学, 58, 98-102, 2007. 柚崎通介　神経細胞におけるグルタミン酸受容体の一生：数と位置はどのように制御されるか？ 生化学, 79, 16-27, 2007. 柚崎通介　脊髄小脳変性症に関連した基礎医学上の新発見．難病と在宅ケア, 12, 13-16, 2006. Ito-Ishida A., Miura E., Emi K., Matsuda K, Iijima T, Kondo T, Kohda K, Watanabe M, Yuzaki M. Cbln1 regulates rapid formation and maintenance of excitatory synapses in mature cerebellar Purkinje cells in vitro and in vivo. J. Neurosci. 28:5920-30, 2008. Matsuda S, Matsuda K, Kakegawa W, Miura E, Kohda K, Watanabe M, Yuzaki M. Polarized sorting of AMPA receptors to the somatodendritic domain is regulated by adaptor protein AP-4. Neuron. 57:730-45, 2008. 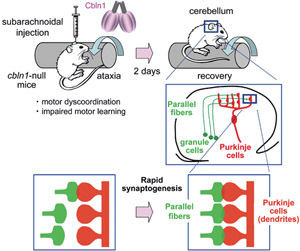 Kakegawa W, Miyazaki T, Emi K, Matsuda K, Kohda K, Motohashi J, Mishina, M, Kawahara S, Watanabe M, Yuzaki M. Differential regulation of synaptic plasticity and cerebellar motor learning by the c-terminal pdz-binding motif of GluRδ2. J Neurosci. 28:1460-8, 2008. 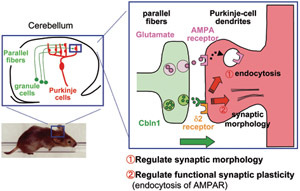 Kakegawa, W., Yuzaki, M. Novel mechanism underlying AMPA receptor trafficking during cerebellar long-term potentiation. Proc Natl Acad Sci USA. 102:17846 51, 2005.